The focal point of this trip was to visit Kangaroo Island and we’ve finally made it. 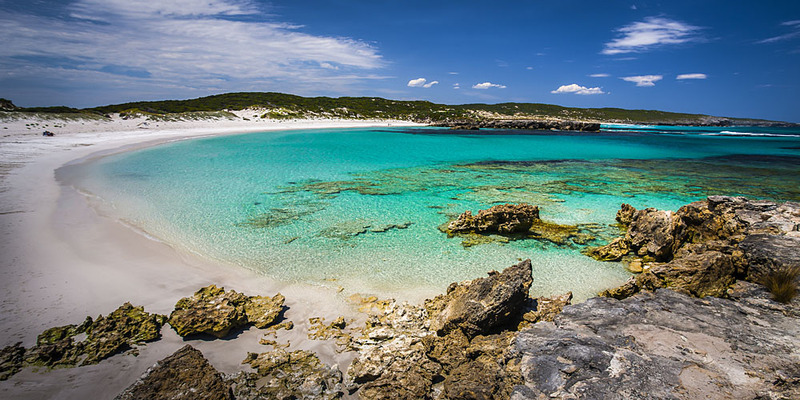 Kangaroo Island is Australia’s third largest island, boasting beautiful beaches, one of Australia’s premier National Parks and abundant wildlife. 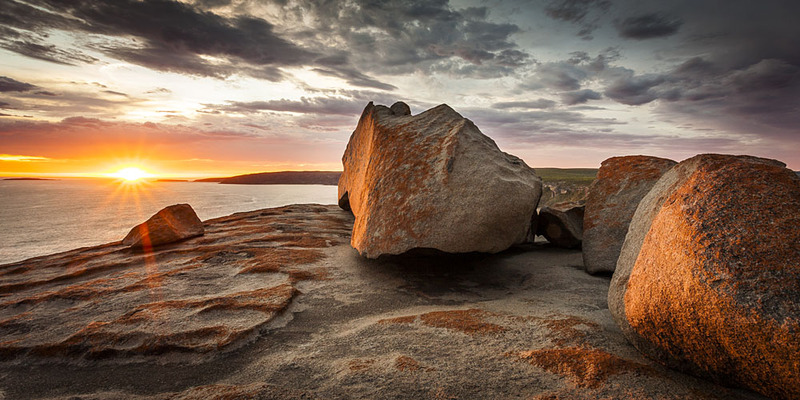 The highlight of the park for me has to be the Remarkable Rocks. Taking in the views from the lookout, the sweeping beach and sheer cliffs form a fitting introduction. 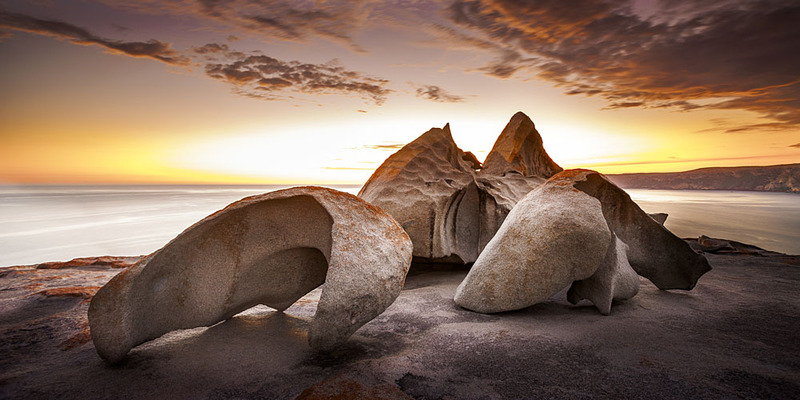 The Remarkable Rocks have to be one of the most enduring spectacles I’ve seen in my travels across Australia. Not simply because they are one of nature’s wonders, but for their prominent position upon a headline with stunning coastal views to both the east and the west. 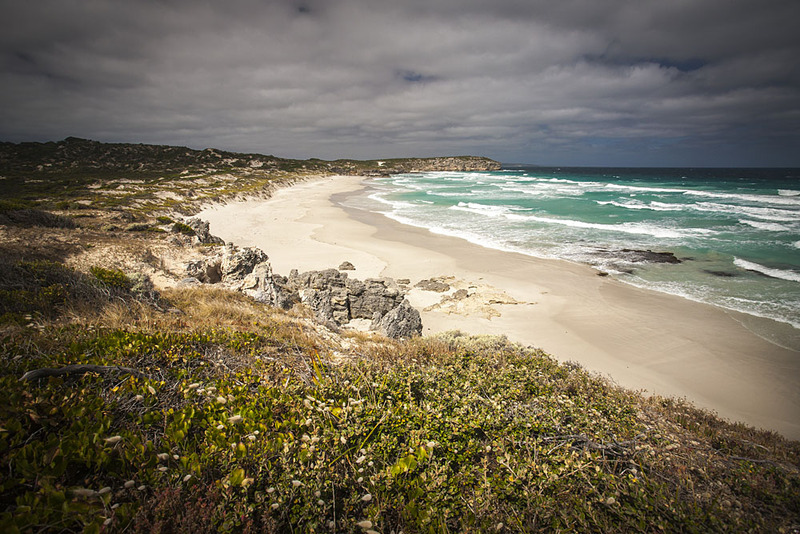 West Bay shows off the wilder side of the island as huge swells and strong winds from the Great Australian Bight continually batter this coastline. If you want to get up close and personal with the local wildlife then Seal Bay is the place to be. 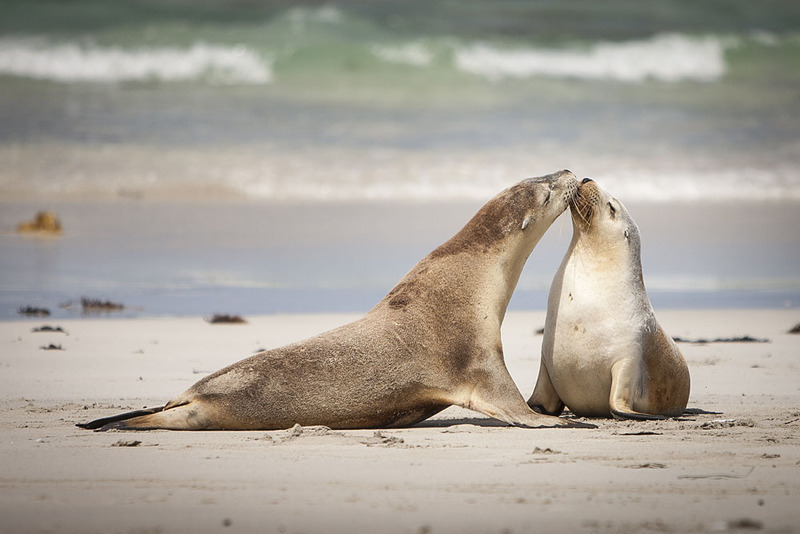 Home to around 600 Sea-lions it is Australia’s third largest colony. The Sea-lions lounge around on the beach for three days then it’s all out fishing for another three. Not a bad shift pattern when the weather’s so nice. 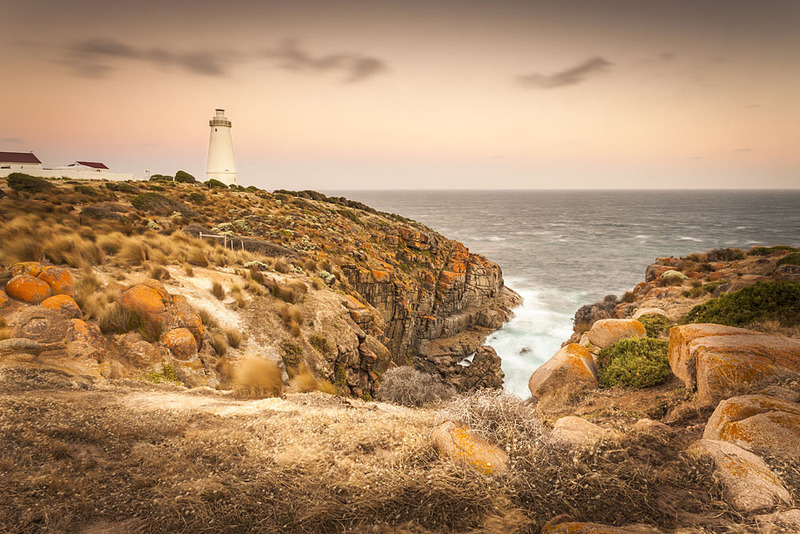 Cape Willoughby was the first lighthouse to be erected in South Australia. 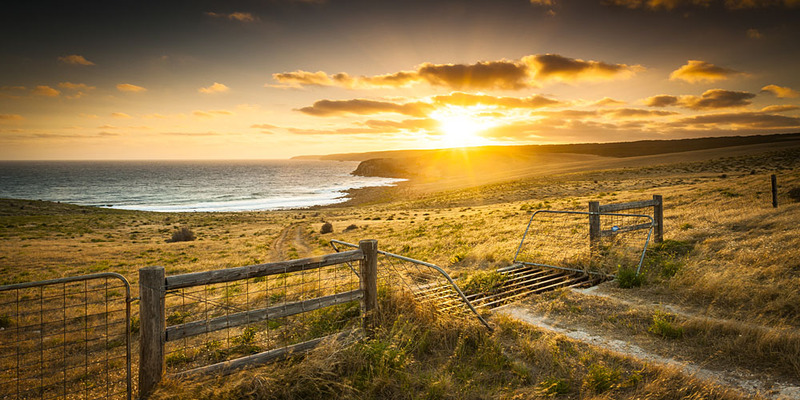 It protects ships as they navigate through Backstairs Passage between Kangaroo Island and the mainland. It’s definitely one of the more unusually shaped lighthouses I’ve seen, partly due to the lantern room being replaced in 1974. Back to the mainland now and the journey home. 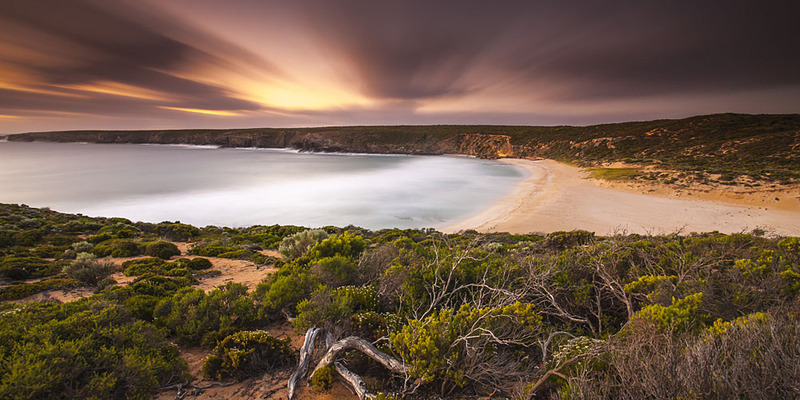 All of my pictures of Kangaroo Island are available to buy as high quality photographic prints or on Canvas, I also have many framing options available. 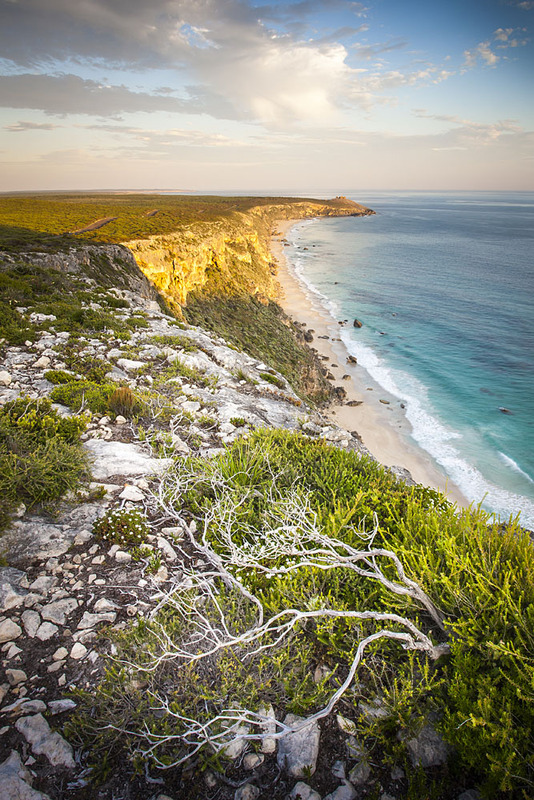 See Pictures of Kangaroo Island for print and framing options. 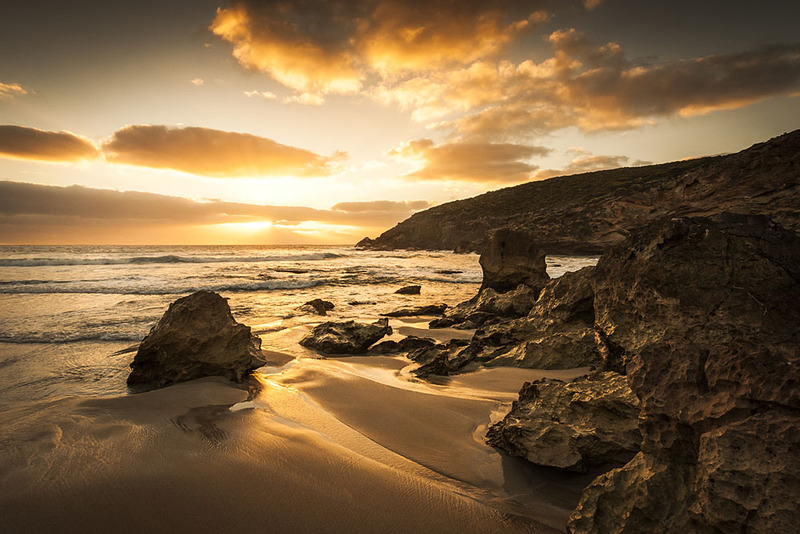 For enquires about image licensing and corporate purchases of my pictures of Kangaroo Island call Richard on 0410191288.